Finding a variety of early readers that don't make you want to poke your eyes out can be challenging. But if you up the ante by adding the qualifier "nonfiction," your task may seem almost impossible. First of all, at least in our library, nonfiction early readers are shelved with the children's nonfiction, not with the early readers. This means you can peruse by topic easily enough, but if you don't care about the subject per se (you'd just like to see your child reading about volcanoes or the American Revolution instead of Star Wars for a change), it can be beyond frustrating. Trust me, I know. I'm the mom who's wandering down the stacks, pulling hopeful books off the shelves and filling up the reshelving cart with cast-offs. 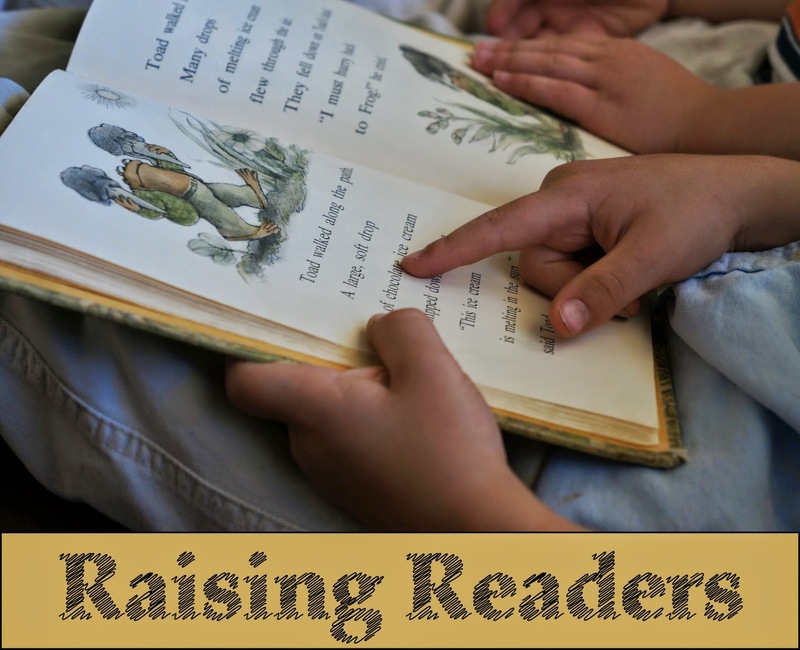 However, the benefits that come to the emerging reader from reading nonfiction are enormous. New vocabulary - nonfiction introduces hundreds of new words your child would never encounter in Green Eggs and Ham or Frog & Toad. Names, places, and scientific terms are all there in short, simple sentences. New ideas - not only is your child learning new words, but he is also learning about planets or reptiles or Babe Ruth. Now he not only can read the word "Saturn," but he can also tell you all about its rings and climate and moons. New style - nonfiction is usually presented in a completely different way from fiction. Instead of dialogue and a climax, you have facts and definitions. 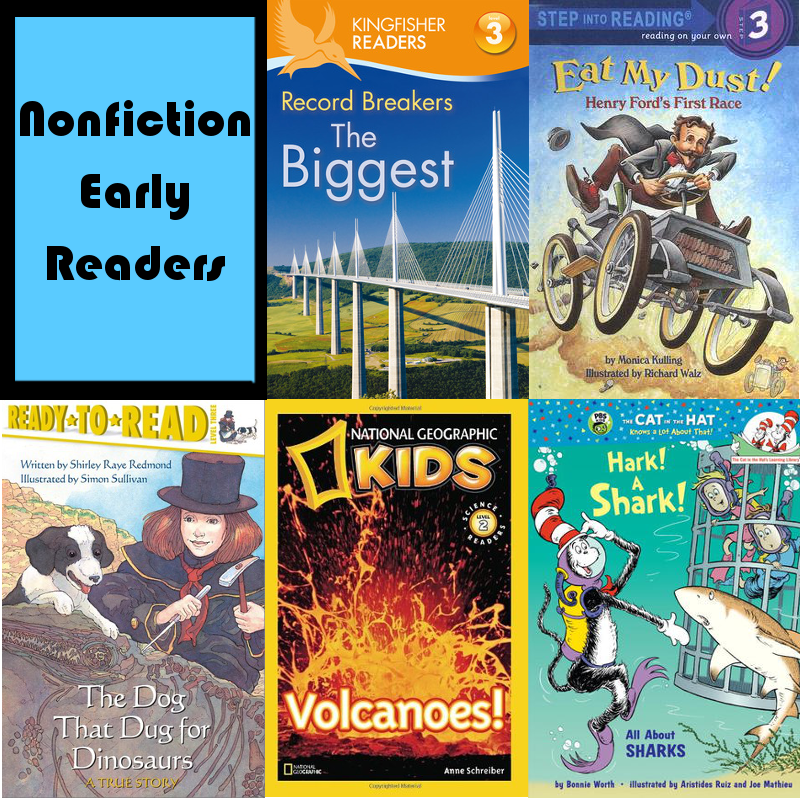 But just because nonfiction early readers are difficult to find doesn't mean they're not out there. Over the last year, we've stumbled across some really stellar ones. And the great news is that once you've found one, you can usually find dozens more in the same series. Just put them on hold, and you can just pick up a big stack of them and skip the aimless wandering entirely. This one is fun because it doesn't focus on one subject specifically but, in a Guinness Book of World Records style, showcases the world record breakers in the biggest category: biggest insect, biggest building, etc. Here is a complete list of Kingfisher Readers. They come in a variety of levels, tackle a variety of topics, and feature great illustrations and photographs. One day Aaron came home from school with a book called Abe Lincoln's Hat. It was all about the way President Lincoln used his hat to keep himself organized during his presidency. 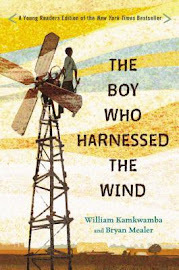 Aaron loved it, and I thought, There must be other biographies like this one. There are! Step Into Reading has a whole collection of early reader biographies. (I couldn't find a list of just the biographies, but here is a list of all their nonfiction early readers, which are all well worth checking out.) 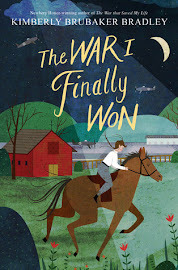 You know how much I love picture book biographies, and these ones are great whether you're reading them out loud or having your child read them to you. They all feature a unique story about the person being highlighted, rather than just a broad overview of his/her life. 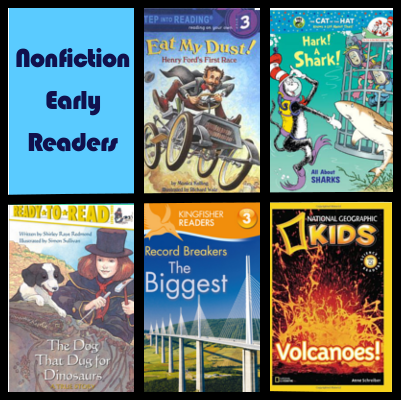 Ready-to-Read also has a great line of nonfiction early readers. 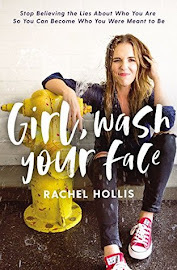 Unfortunately, I couldn't find a list grouping them together, but here is a link to all of the Ready-to-Read books, and it isn't too difficult to scroll through and pick out the nonfiction ones. The one I'm featuring here is about a dog named Tray and his owner named Mary Ann Anning. I like this one because it's a great introduction to archeology, as well as being about different kinds of dinosaurs. I don't think I can express how much I love these leveled readers published by National Geographic. Aaron has explored a host of interests between these covers: volcanoes, sharks, planets, tornadoes, snakes, and more. And also, just as you would expect, the photography is spectacular, so they are a treat just to look through without even reading the text. One of Aaron's favorite components in these books are the jokes at the top of most pages. It's like a little reward for him after he's read the rest of the page. If you'd like to see all of the National Geographic titles in one place, visit this link. With summer break already underway (Aaron's last day of kindergarten was today! Sob! ), hopefully these lists will get you started on some fun and educational reading for those lazy afternoons. Use your library's hold system. I'm serious. You won't regret it. Great ideas!! I can't wait until Samson is old enough to start reading these! Costco has (or had...I dunno, I bought it a few weeks ago!) a Step Into Reading biography set, 6 for $10 that includes the Abe Lincoln's Hat and other books about George Washington, Albert Einstein, Ben Franklin, Thomas Jefferson, and John Adams. I haven't read through them but N seems to like them. Oh, that was me, Alicia, btw. And they also had a similar set about some of the National Parks, or something like that...I didn't look closely. Lots of reader sets right now. Great post. Thanks for sharing. Our current favourite is Lifetime (Lola Schaffer).